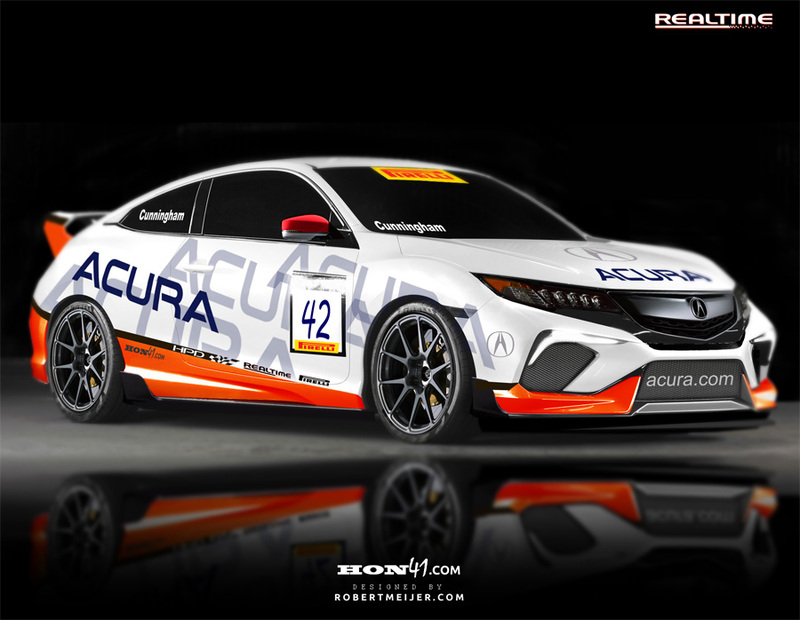 Artist Robert Meijer created this RealTime Racing Acura Coupe based on the new Civic Concept. I do love the design of the Civic Concept, but seeing this render I actually think the V-shape of the Acura grille is a better fit with all the hard angles on the front bumper. Although this render was all in good fun, with the announcement of some new turbocharged engines and a Civic Type-R launching in the U.S., you’ve got to wonder if Acura will follow up with it’s own sporty coupe. Thank you for sharing !!! I’m honored.